Are you one to change skincare with the season? Skin being exposed to different environmental conditions need different protections and with the dry, cold weather in Melbourne, I like switching to slightly richer and more hydrating facial and body creams. This cream sinks straight in, provides all day hydrating and works a treat as a rich yet non-greasy day cream over treatment serums (I even use it as a night cream sometimes because it’s rich enough) and suits all skin types particularly those with extremely dry skin. It smells of a bouquet of fresh field flowers and leaves a lovely silky finish on skin. 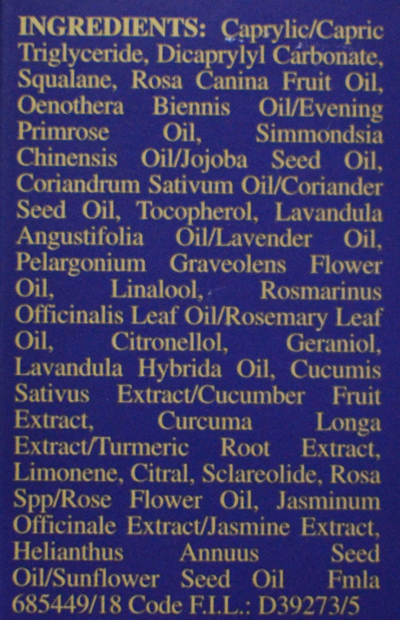 It contains the Immortelle essential oil (called the immortal flower because the petals doesn't lose colour even when it is dried or dies) to stimulate micro-circulation, increase collagen production and and has good anti-aging properties. 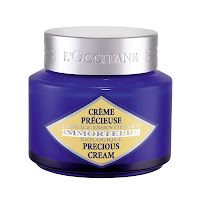 This facial cream is now in its 10th anniversary with a new improved formulation and continues to be one of L’Occitane’s best sellers that will give smoother, firmer skin. Available at David Jones, selected Myer stores and L'Occitane online. We all know by now our skin recharges overnight whilst we sleep so it’s worthwhile investing in products that give it a boosting hand. This multi-tasker does exactly that by gently exfoliating the skin and increasing cell-turnover (salicylic acid in a time release system and chestnut seed extract) to reveal clearer tone and complexion. 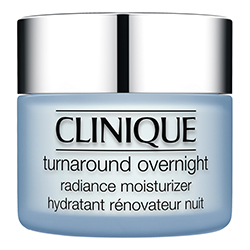 Emollient and rich but not greasy, Clinique Turnover Overnight Radiance Moisturizer works to give intense hydration and facial-like results while you sleep. 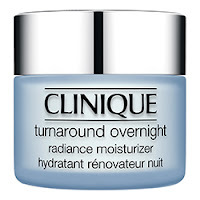 Not only does it provide that extra hydration boost (hyaluronic acid, hydroxyethyl urea and trehalose) at night without the grease to make skin is brighter and more even in tone after a week’s use, and within a month, I’m seeing smooth velvetly skin that is all plumped up, clear and radiant. Avaliable at Clinique counters in Myer and David Jones store and Clinique online. 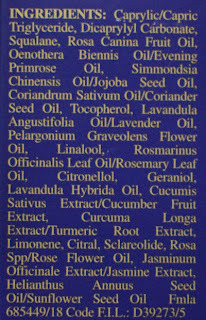 I wasn't provided the product packaging so don't have the ingredients listing for this moisturiser. On alternating nights I use this elixir of pure botanicals and essential oils (rosehip, evening primrose, jojoba and rosemary leaf oil). With a light lavender (from the essential oil) and faint squalene (plant-based from olives) scent, it is lightweight and readily absorbs into the skin to leave only a light sheen on the skin and fixes any dry patches, plumps up skin and helps to replenish lost lipids in skin. Skin is soft, supple and hydrated after two uses and after a month of continued use, I notice faster he I use it in place of my night time moisturiser after applying treatment serums and within a week notice plump, supple and brighter skin. Available at Kiehl's counters in selected Myer and David Jones stores and Kiehl's online. One of my favourite body moisturiser, it is intensely hydrating but non-tacky and leaves a silky dry finish on skin once absorbed. The cream forms a light shield on skin to help improve the skin's barrier function to increase skin hydration. It also has a light pleasant orange vanilla scent and enriched with rose oil, pomegranate and acai extract to help improve skin firmness and replenish lost essential fatty acids back into skin. I love rubbing this cream into rough areas like elbows and knees as well as all over the arms and legs for immediately soft, smooth skin. Available in selected Myer and pharmacies - check here for stocklist and Grown online. So whether you live in freezing southern states or warmer northern regions, the winter months brings on dryer weather and your skin will need a hydration boost. Be sure to look at your current skincare regime to see what you can introduce to give it that extra level of moisture.